Tomsheck, himself a former polygraph operator, was ultimately responsible for Operation Lie Busters, an ongoing criminal investigation that attempted to entrap individuals who provide instruction in how to pass polygraph examinations. On July 24, 2013, five CBP students received diplomas completing the masters-level curriculum in Forensic Psychophysiology at the National Center for Credibility Assessment (NCCA) commencement. The graduates are now assigned as intern Polygraph Examiners in the CBP-IA Credibility Assessment Division (CAD). After a successful six-month internship, the graduates will become federally certified polygraph examiners. Once certified, these new polygraph examiners will play an important role in the effort to conduct 100% screening of all law enforcement applicants before they are hired by CBP, as required by the Anti-Border Corruption Act. NCCA Director William Norris introduced the Commencement Speaker as “one of us” and directed the attention of the audience to a highlighted photograph of the 1984 graduating class that included a young Secret Service Agent, now CBP IA Assistant Commissioner James Tomsheck. AC Tomsheck congratulated the 32 graduates representing numerous federal agencies and praised them for their diligent work in the classroom and laboratories. He emphasized their success could not have been possible without the support of their families and agencies, and the excellent instruction received by the NCCA faculty. 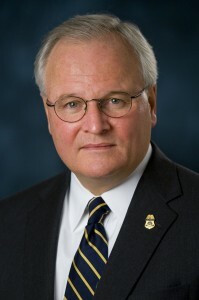 Mr. Tomsheck advised the graduates that they were entering the profession at a time unparalleled in the government, when all agencies were relying more on the unique ability of polygraph to protect our National Security from Insider Threats, and provided the assemblage with examples of penetration attempts wherein polygraph developed critical information impossible to obtain through traditional vetting methods. He emphasized that the graduates must always maintain and follow the standards taught and endorsed by NCCA, and implemented through the policies of their respective agencies. This semester’s CBP graduates and their future office assignments are: Michael Gonzalez, McAllen; Eric Modisett, San Diego; Michale Moylan, San Diego; David Pelfrey, Detroit; and Sapphia Small, Newark. NCCA, the federal government’s polygraph school, turns out newly minted polygraphers in 14 weeks, less than half the length of a typical barber college. I am pleased to present this five-year report which details the successes the employees of the Office of Internal Affairs (IA) have achieved during fiscal years 2008 through 2012. The accomplishments described in this report highlight the dedication and commitment of every IA employee who performs his or her duties in an exemplary manner in support of CBP’s mission to secure our nation’s borders while fostering legitimate travel and trade. Five years ago, the Credibility Assessment Diivision (CAD) existed only as a vision in the minds of CBP leadership. Faced with unprecedented hiring surges designed to secure our nation’s borders, and the knowledge that rapid expansion of law enforcement agencies had historically caused a dramatic increase in corruption within those agencies, IA requested authority to establish a polygraph program within CBP-IA. With support from the Commissioner, IA obtained the required authority from OPM to begin a polygraph pre-employment screening program for applicants for CBP law enforcement positions. 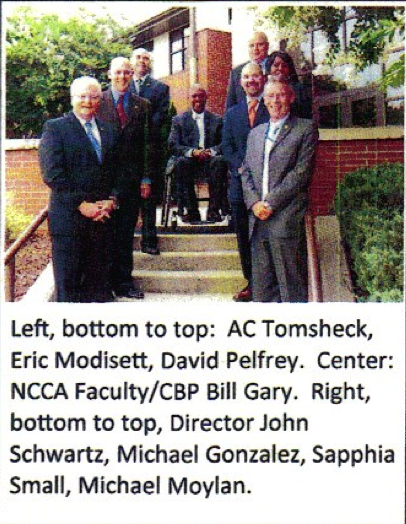 In January 2008, the first 12 newly-hired certified polygraph examiners arrived at the National Center for Credibility Assessment (NCCA) to train on the LEPET polygraph format, which was designed for law enforcement screening. In February 2008, CAD deployed its first operational mission to Dallas, in collaboration with PSD, several HRM components, and Border Patrol. The results of the polygraph examinations were profound and revealing. Many applicants successfully completed the polygraph process and were quickly sent to Basic Agent Training at Artesia, NM. However, 58% of the applicants failed to successfully complete the polygraph and were found unsuitable. Their admissions confirmed the reliability of the polygraph process. The first independent inspection of CBP’s polygraph program by NCCA’s Quality Assurance Program provided an in-depth look at 118 functional and operational CAD criteria. The inspection team concluded their review with no derogatory findings, and affirmed the strong foundation upon which the CBP polygraph program had been established. The biennial inspection by NCCA’s Quality Assurance Program again identified no derogatory findings of weaknesses or flaws in the CAD polygraph program. To the contrary, three areas of “strength” were identified (two quality control program management areas and polygraph program statistics regarding admission/confession rate). This was an unprecedented finding that established CBP as the leader among the 26 federal agencies with a polygraph capability. AntiPolygraph.org is interested in hearing from federal polygraph examiners regarding CBP-IA’s status as “the leader among the 26 federal agencies with a polygraph capability.” Comments may be posted below, anonymously if you prefer. The five-year report also provides budgetary information regarding CBP-IA as a whole and the Credibility Assessment Division (CAD) in particular. A chart at p. 9 shows that the CAD’s budget was $5,627,583 in FY 2009 (its first year), $5,627,583 in FY 2010, $7,959,893 in FY 2011, and $11,414,174 in FY 2012. The chart shows that as CAD’s budget was doubling from 2009 to 2012, the budget of the Personnel Security Division, which conducts background investigations, fell from $113,436,602 in FY 2009 to $81,156,746 in FY 2012, suggesting that background investigations are being shortchanged in favor of lie detector tests. In addition to CBP-IA’s five-year report, AntiPolygraph.org has also obtained a CBP-IA organizational chart (160 kb PDF) current as of circa 5 December 2012 and a 23 May 2013 CBP-IA memorandum by Chris Pignone, Acting Director, Investigative Operations Division and Jeffrey Matta, Acting Director, Integrity Programs Division, titled “Reminder on IPD reporting structure” (156 kb PDF). The memo notes that “the Integrity Programs Division (IPD) is the research, analysis and education component of CBP/IA.” The memo describes the director of IPD as being “joined at the hip” with IOD (Investigative Operations Division) and CAD (the polygraph unit). 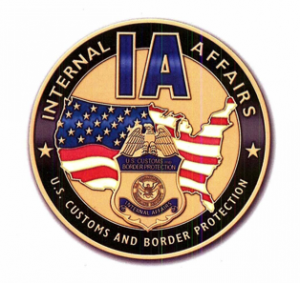 Update: A newer CBP-IA organizational chart (209 kb), current as of June 2013, is now available.